In the late 1970’s, Mark and Brenda Wiger (both special educators) recognized the need to provide opportunities for people with developmental disabilities to leave the institutions and return to their local communities. The reintegration of people into their families and hometowns set the stage for not only positive growth and increased quality of life for the individuals, but also for their many contributions to those families and communities. This vision of integration was made possible by the State of Minnesota’s move to downsize regional treatment centers (state hospitals) and provide resources to establish community based support services. 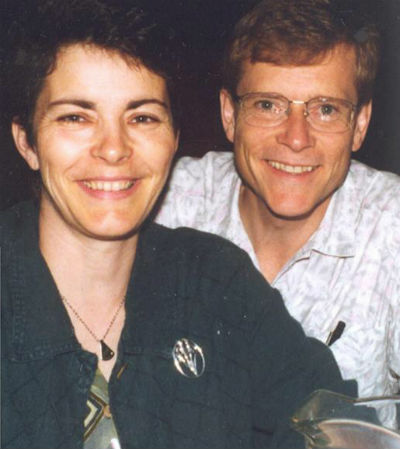 In 1978, Mark and Brenda founded MBW Company (Mark & Brenda Wiger). This same year MBW Company opened its first home that provided residential services for eight individuals with developmental disabilities. Here, these eight housemates were given the opportunity to rejoin family and community life, learn independent living skills, and actualize their own hopes and dreams. As more people returned to the New Ulm area and others became adults with support needs, MBW Company responded to the demand. As new homes and services were developed, MBW Company continued in its Mission to support meaningful and valued life experiences for the people receiving services. In the Spring of 2003, Mark and Brenda retired and MBW Company became an employee owned corporation (ESOP). As an ESOP, our dedicated staff continue to provide high quality services to the people we support and their families. As owners, they have a vested interest in the quality and reputation of the services they provide. Now, 35 years later, MBW Company has grown to a mid-size corporation with a very personal touch. MBW Company currently serves individuals with an array of services including Adult Foster Care homes, Intermediate Care Facilities for people with Developmental Disabilities (ICF/DD) and a number of programs that provide support services on an as-needed, hourly basis.